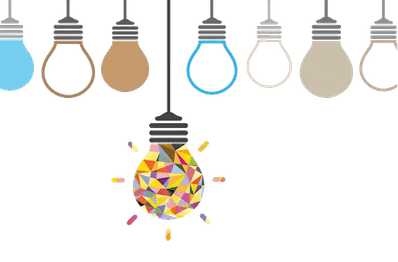 In a world where things are usually judged by the cover, the packaging is bound to be the topmost concern of conventional and e-commerce traders. Apart from being attractive, a package should be functional, durable, and should help preserve the product's quality until it reaches the buyer. This is what a business should aim for. The word packaging encases various meanings in a nutshell. Basically, it is the way you enclose your products to distribute, store, and sell. Similarly, packaging also refers to the logistics involved in transporting goods from one place to another. In this genre, packaging protects the products, transports them, informs about them, and helps advertise. Hence, having basic knowledge about packaging and its types is a must for all businesses. Here’s a detailed guide about the types of packaging and their respective uses. These types of packaging are the ones used to ship bulk products or smaller, inner packages from one place to another. There are many types of packages to ship products that can be customized according to the company's need. Here are some examples of shipping packages. Crates and pallets are a very important packaging option for shipping. They keep the actual goods safe and help lift them off the surface to avoid any damage. Thus, protecting against dirt and moisture. Shrink wrap is a versatile packaging option. You can wrap it around the actual product, or an entire pallet or crate of products. This can help hold them together and make them easy to move. Besides that, it protects against impacts, punctures, and abrasions. Also, it gives a unique visual appeal to the packaging. Most importantly, it’s cheap prices make it cost-efficient. Thus, it can reduce shipping prices greatly. For fragile items, shock mount packaging is the safest option. This is because it contains built-in shock absorption to protect the contents. In addition to that, it guards the products against vibrations, humidity, dust, and moisture. It is usually used to package electronic equipment or unstable chemical compounds. 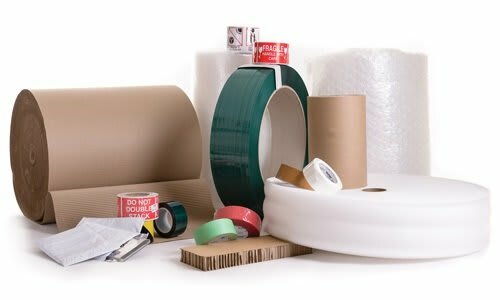 These are some of the packaging types used for shipping products. To learn more about shipping and packaging for e-commerce, have a look at this blog post. After the products are shipped to their desired destination, the next step is to transport them to markets and retailers. But first, they need to be packed here as well to make them easy to move and provide protection. There are many packaging techniques used to send products to consumers in bulk and individual form. These boxes are commonly used to pack and carry heavy items such as electronics, appliances, wine, fruit, and vegetables. Moreover, wholesalers use them to package bulk products. Besides that, they are strong and durable because of their layered paper material. Its main strength comes from the wavy ripple in the middle. They are called corrugated because of these ripples. Most importantly, these boxes are environmentally friendly. They can be reused and recycled for different purposes as well. These boxes are stronger and more durable than cardboard boxes but are usually confused with them. 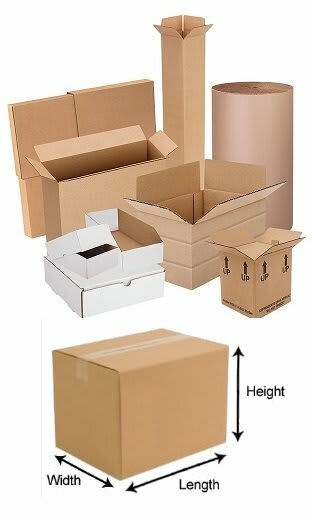 Read this blog post to pick out which box to use for shipping your products. 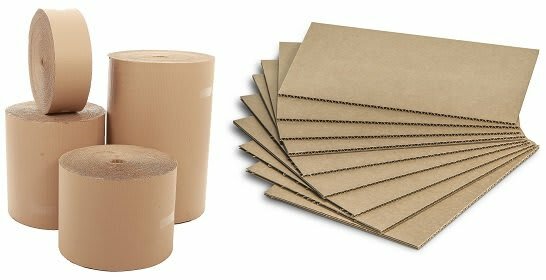 Also, you can find out about different types of corrugated cardboard types in this blog. Paper or cartons box are usually used to pack single products such as shoes, crackers, toys, or breakfast cereal. This is because it is not as strong as a corrugated box, but is more lightweight and accessible. Besides that, its lightweight design makes it an ideal packaging device for on-shelf items. Also, printing and graphic designing are easier and more effective on this box. Thus, it can sport eye-catching and appealing profiles of your products while giving it a productive coverage. Most importantly, you can also reuse and recycle them in the form of arts and crafts and writing paper. Paper bags are the most common packaging items. Used to pack your groceries at the local supermarket, let you take-away your meal from a restaurant, and carry flour or cement, these bags are versatile. Besides that, paper bags help you save money, and you can get them printed beautifully to increase the aesthetic demand of what you sell inside it. Also, they do not contribute to environmental pollution as plastic bags do. Easily decomposable, renewable, and also recyclable to produce more paper, paper bags are a great choice for your product packaging. This is the cheapest packaging material available in the market. With that, it’s fairly durable and functional. Usually used for food, plants, flowers and newspapers packaging. 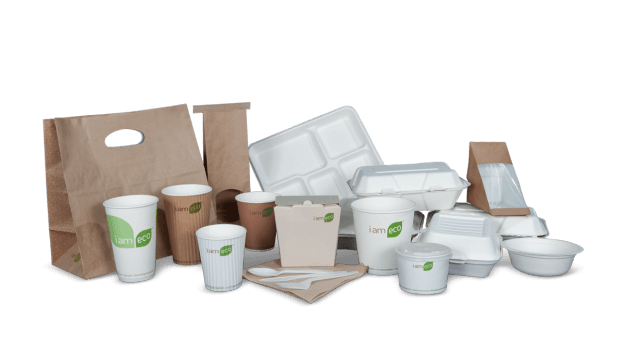 Most importantly, it’s more commonly used, and most retail shopkeepers and small scale businesses use them as their basic packaging medium. You can use plastic bottles abundantly for packaging purposes as well. Mostly used for medicine, cosmetics, and other liquid products, these bottles are functional and affordable. In addition to that, they are space-efficient. This means they can help save space on your shelves. Similarly, you can reuse them for different purposes to prolong their utility. Besides that, it’s also easy to print advertisements and other details on these bottles. They are unbreakable, therefore ideal for liquids, as they will not break and create a mess in case of an accident. These packaging agents are an advertisement in themselves. Not only do they protect and cover products, but they also help showcase them as they are very effective. You can use them for items such as candles, toys, and products from other industries as well. In addition to that, plastic boxes are more durable than their cardboard counterparts. That is because a plastic box cannot be poked through as a cardboard box can. This provides better protection. Also, it’s more cost-effective than paper boxes. At the downside, it's not environmentally friendly or biodegradable. But, you can reuse and recycle it to do your job to the environment all the same. 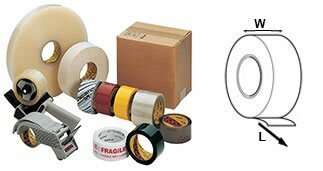 This sums up our guideline for types of packaging available for shipping and on-shelf products.